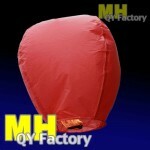 Sky Lanterns | SkyLanterns, Hanging Lanterns, CandleBags. The “Original” Fire Retardant was invented in 2006 in Shijie, Dongguan, GD PRC. 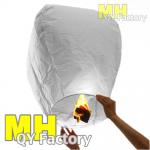 Since the day we invented these new lanterns, the fire retardant sky lanterns have become an established trend in the West. 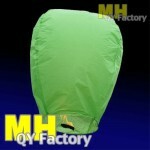 From top quality fast rising lanterns to the cheap less safe copies being pushed on uninformed buyers. Today nearly everyone in the West now knows this item. 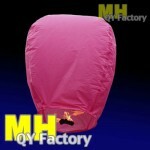 Why Successful resellers Sell Original Sky Lanterns? 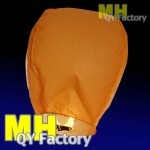 ONLY Chinese Legal Producer of Metal Free String Lanterns Patent number: ZL 200820093622.3. If using string there is a risk of the goods being seized in the Chinese port of departure. Best to pay for illegal string lanterns “after” they are loaded on a ship, not before they are loaded. (An illegal lantern producer is unlikely to give you a refund if the goods are seized). 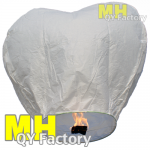 “Original Sky Lanterns” use only Flame-retardant paper, safe minimal drip fuel, fully assembled in factory setting where the craftspeople are well paid. Highly flammable paper material is NEVER mixed in. Fiber wax cubes never used. Asbestos not allowed in factory. Also hanger bags for in-store hangers are available. Display boxes and display stands available for stores. 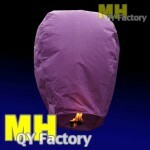 Original Sky Lantern service and packaging team is led by a native English speaker ensuring no details are missed. Our lead times are fast, and we deliver ON TIME. 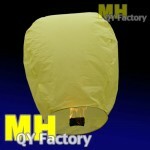 Original Sky Lanterns are used for the successful quality brands in Asia, Europe, Middle East and North America. 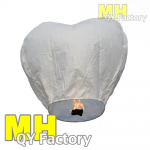 * White “Original” Fire Retardant Heart Sky lantern * 38 ~ 92cm D ..
* 38 ~ 58 D 103 H Globe * 18GMS, 6 x 9 fuel * 38 x 56 sized wrap aro..